Eliran Toren brings more than 20 years of management experience in the technology and communications industry. 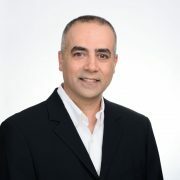 Prior to founding MSolutions, Eliran spent five years as Vice President for Sales at Valens, the inventors of HDBaseT. In this position, Eliran contributed to the establishment of HDBaseT as the connectivity standard in the ProAV market, selling to and integrating with the world’s largest electronics manufacturers. Eliran built a global sales and distribution team and expanded the company’s business to more than $50M a year. Prior to Valens, Eliran was Associate Vice President of Sales & Marketing for APAC at ECI Telecom, in addition to other management positions in marketing and product management at the company. Eliran holds a B.Sc. in Electrical and Electronic Engineering from the Holon Academic Institute of Technology. 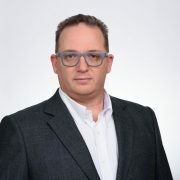 Ariel Marcus brings more than 20 years of experience in multi-disciplinary product development, customer support, interoperability and system integration. As an HDBaseT expert, Ariel realized the lack of reliable and cost-effective solutions for testing and monitoring of HDBaseT networks, and this is the essence of Msolution – to provide a suitable solution for installers and integrators. Prior to M Solutions, Ariel was Worldwide Customer Support Director at Valens, the inventor of HDBaseT technology. At Valens, he was responsible for worldwide customer support, problem resolution, design review and product integration. Before Valens, Ariel led multi-disciplinary product development teams at Infineon and Spansion, where he led projects from design to production. Ariel holds a B.Sc. in Electrical Engineering from Ben Gurion University and an MBA in Business Administration, from Derby University.